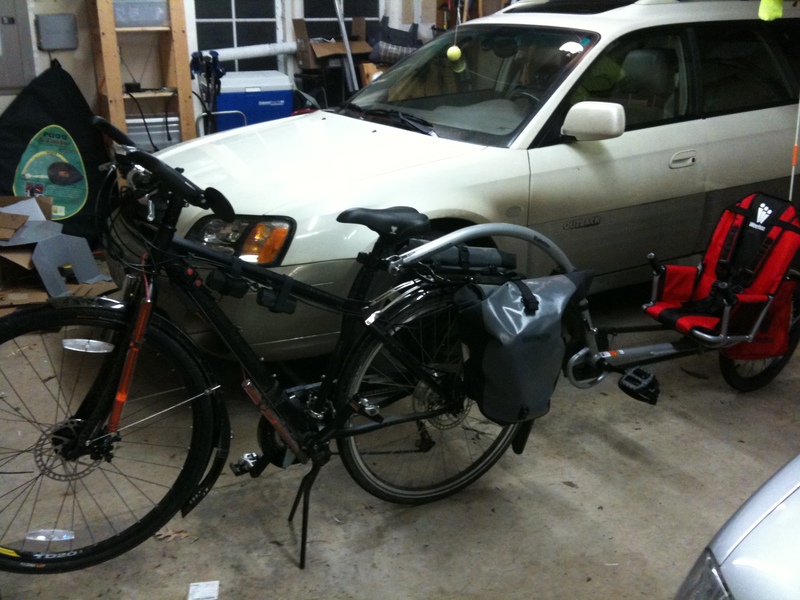 I’ve recently transferred from using a longtail cargo bicycle to a normal sized bike with a trailer. Why? I simply was not hauling as much stuff as I thought I would. 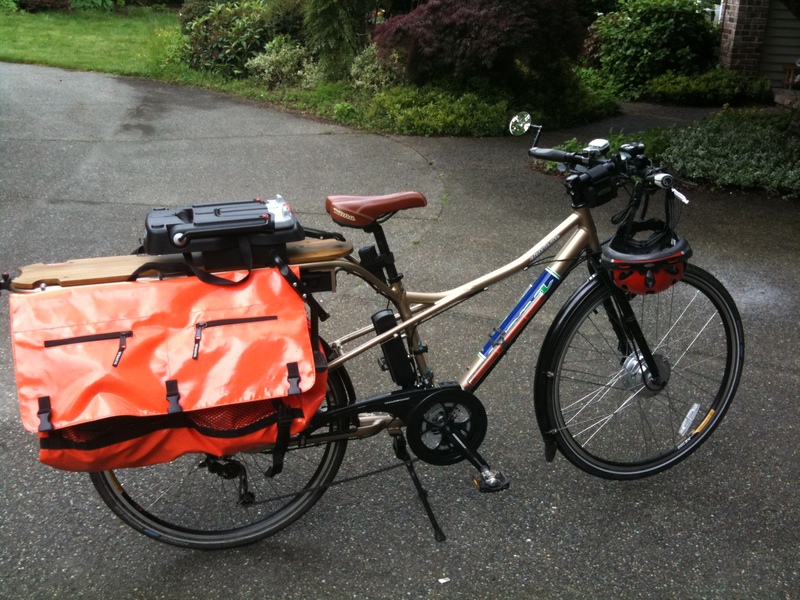 Cargo bikes are darn heavy and frustrating to pedal around when “dry”. You spend your whole time thinking, why am I pedaling this heavy, EMPTY bicycle? The child carrying options are less than ideal. 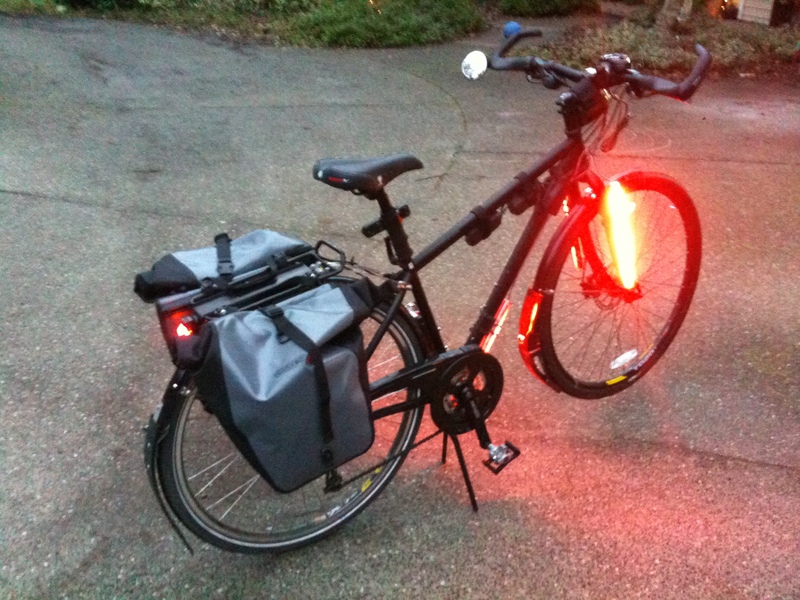 It was this last reason that really pushed me to sell off Kona’s Electric Ute and purchase a used electric bicycle from a friend (home-built eZee kit on a mid-range Marin). My eight year old is now too big to be riding jockey-style on the back deck of the longtail. He wanted to (and needs to) be able to help with the pedaling. We were able to sell the Electric Ute for more than the used Marin. We invested that extra cash in a Weehoo. Great trailer, but sorely in need of a fender. We added our own, as well as home-made extensions to the Marin’s fenders, and now my kids are riding in back, mud-free and full of laughter. They love this thing. 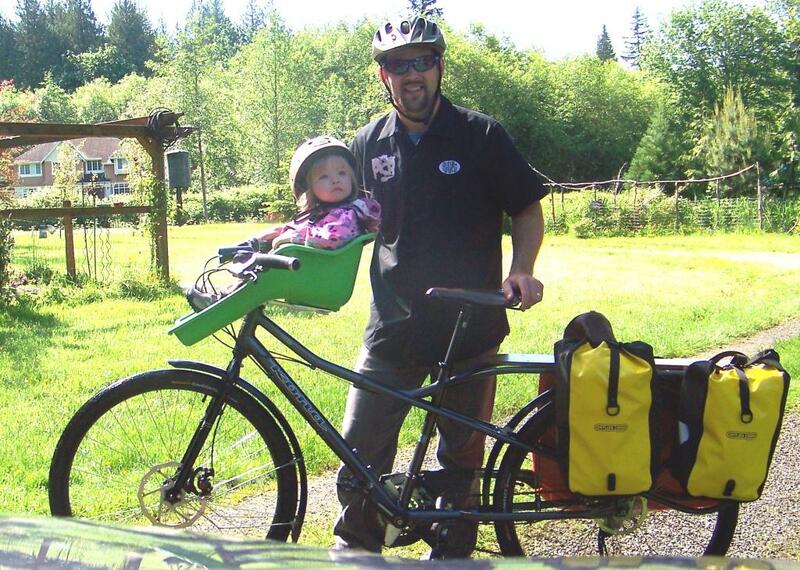 Between the Weehoo and the Wike DIY trailer, I’m able to haul the same capacity of my old cargo bike, but in a more stable and comfortable manner. 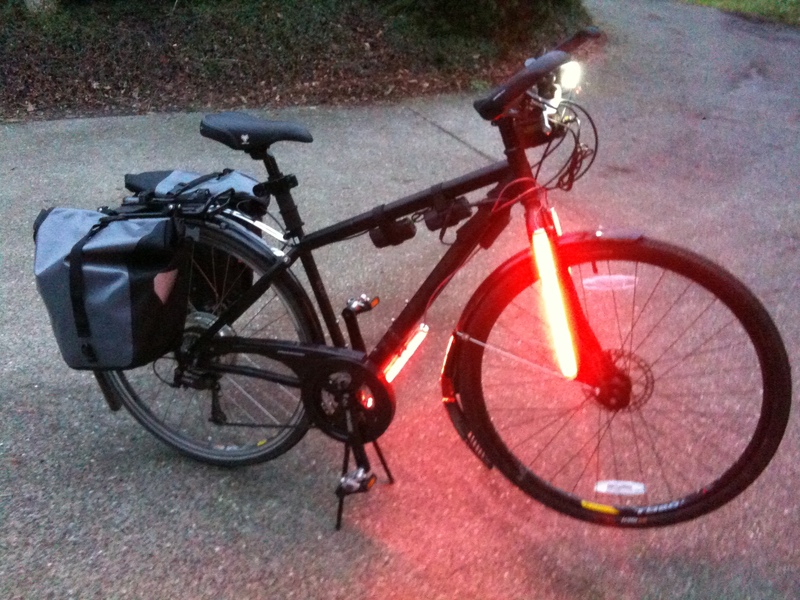 The Down Low Glows look awesome on the front forks. I regularly get compliments about them, including many drivers at stop signs telling me thanks for using them.